Well, not the whole ballroom, just the sound of the music which was heard there as elegantly attired couples danced the night away. Have you ever wondered what it might have sounded like to attend a ball in Regency England? Not the overly orchestrated dance numbers which embellish films of the Regency era, particularly those from the pen of Jane Austen, such as Pride and Prejudice, Emma, or Sense and Sensibility. Would you like to hear the dance music of the Regency as Jane Austen herself might have heard it? Then, you might like to treat yourself to a privately released CD, entitled The Regency Ballroom, from a group of musicians who specialize in historic dance music. I recently ordered a copy of this CD for myself and I am so pleased with it that I want to let others in on the "secret." The Regency Ballroom CD is eighteen tracks of the music to which our Regency ancestors danced, played by a group known by the curious name of Spare Parts, (not to be confused with a Chicago Jazz Funk group of the same name). They have chosen this name, as the two core members, Liz Stell and Bill Matthiesen, play flute and piano, respectively, and are usually joined by one of various violinists, whom they refer to as the "Spare Parts." The violinist who joined them on this album is Eric Buddington. You can learn more about him at the Spare Parts list of favorite violinists. Ms. Stell and Mr. Matthiesen are not only musicians, but musical scholars who have spent a score of years researching nineteenth- and early twentieth-century dance music in order to play it as accurately as possible. They provided some of the period music for the film Bright Star, tracing the ill-starred romance between the poet John Keats and Fanny Brawne, which unfolded during the last years of the Regency. Some of their music is included in the soundtrack for the film, but much more of it is to be found on their own, privately produced CD. The Regency Ballroom CD is very nicely packaged, with a period print of four couples engaged in a quadrille at the famous Almack’s Assembly Rooms on the cover. That cover is a glossy triple-fold with liner notes which provide dates, sources and a brief historical snippet of each track. That same information, plus sample audio from some of the tracks, can be found at the Spare Parts page dedicated to The Regency Ballroom. On that same page can be found links to more information about dance during the Regency era, plus ordering information for the CD. I ordered my copy online and it arrived in my mailbox within the week. The email confirming the order and the one which notified me it had been shipped are very spare and a bit cryptic, as they appear to be automatically generated. But do not let that deter you, if you chose to order, there are humans attending to the web site and you will receive your CD promptly. Though the music is played by a trio of flute, piano and violin, it is rich and full. Some of the pieces are elegant and stately, while others are quite sprightly and animated, leading to unconscious toe-tapping. Though many films set during the Regency era portray dance scenes with a full orchestra, in reality, only the very wealthy, or the most pretentious, could have afforded to pay such a large group of musicians to provide music for their balls. The balls and other dances held in most private homes and country assembly rooms would have been accompanied by a smaller group of musicians, very like the trio to be heard on this CD. Occasionally, one can hear the flutist draw a breath, or the slight twang of the violin strings, which only adds to the verisimilitude of these recordings. Such sounds are often digitally removed from modern recordings, but would have been quite audible if one were in the vicinity of the musicians during a ball. You can close your eyes while this CD is playing and imagine yourself in a Regency ballroom, with other couples in their elegant evening clothes swirling around you on the dance floor. Those who like to re-enact Regency events will find this CD the perfect solution to holding a Regency ball if there are no musicians available in their area who can play period-appropriate music. This music would also be an excellent accompaniment for anyone who is trying to learn the dances of the Regency era, either for their own pleasure, or in preparation for attending a modern-day Regency ball. Even if you are not quite so ambitious, you will still find this CD a delightful way to experience the authentic sounds of a Regency ballroom, something which cannot be found in any book on the period. The sounds of any period of history, prior to the invention of the phonograph, are extremely elusive, yet they were an important dimension of life, just as they are today. The Regency Ballroom is a musical time capsule which can be enjoyed by twenty-first century listeners whenever they please. Mr. Matthiesen has also compiled a series of waltz music books for the use of those who want to be able to play the waltzes of earlier times themselves. The Spare Parts site also offers music books and CDs of other period dance music, so it is worth browsing their online store if you have an interest in dance music of the past. The Spare Parts group also performs live, and in the course of perusing their performance schedule, I discovered that they will be playing for the Sailing Masters Regency Ball this coming May, in Essex, Connecticut. It has apparently become an annual fund-raising event, the culmination of a day of historical celebrations. According to their web site, this event is attended by Regency aficionados from across the country. If you are planning to attend this ball, you might want to get a copy of The Regency Ballroom CD so you can practice your waltzes, quadrilles and reels before you arrive. 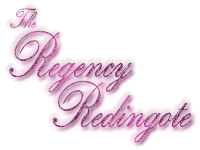 The Regency Ballroom CD is a lovely selection of Regency dance music, which will be appreciated by anyone with an interest in the music of the period. But I have found it to be a most enjoyable CD to listen to when I want to relax. When time permits, I am planning to treat myself to a re-reading of one of Jane Austen’s novels with these authentic Regency tunes playing in the background. This entry was posted in Reviews and tagged Jane Austen, Music, Regency. Bookmark the permalink. Hi Kathryn, Very interesting post. Question for you. In the Regency Era, at an upperclass London ball, would the musicians be more likely to play violin or fiddle? Thanks! The physical instrument was the same, then. So, the class of the player would determine what he, or she, called their instrument, or the type of music they most often played. “Violin” was the usual upper-class name, while “fiddle” would have been considered the lower-class name. But there is a bit more to it than that. The instrument was most often called a “fiddle” when it was used to play “popular” music. That would have included most dance music during the Regency. The instrument was almost always called a “violin” when it was used for concerts of music written by known composers. Music which we would call “classical music” today. I hope that helps to give you a better idea of how the two terms were used during the Regency. Thanks so much, knowledgeable lady! I appreciate your help. Thank you for your kind words about our recording. I’m the one who does the music research for our group. Well, you do a very good job of it! I think the sounds of the past must be one of the most elusive aspects of the study of cultural history. I often listen to this CD, and I always enjoy it. My thanks to you and your team for employing your talent and effort to give us all some authenitc sounds of the Regency.